The Lil’ Dragons Program is a detailed curriculum that focuses on improving preschool age children’s basic motor and listening skills. These skills will help them enter society with a more confident and enthusiastic outlook. They will become better students at school, better listeners at home and more ambitious towards the future. We believe the time between the ages 3 and 5 are the most important years of a child’s development. Our program will enhance positive development in a fun and motivating way. The Lil’ Dragons program will also prepare your child for our children’s martial arts program. In the Lil’ Dragons classes, your child will be exposed to positive social interaction. They will learn how to work with others and follow directions from their instructors. Our Lil’ Dragons instructors are good role models who are trained specifically to work with preschool aged children. The program is also designed to help each child understand how belt progression works. This is done with a specially designed belt system that starts with the traditional white belt and progresses to a traditional Two-Tone(half white, half gold) belt. There are several belts in-between which are white with a colored stripe. 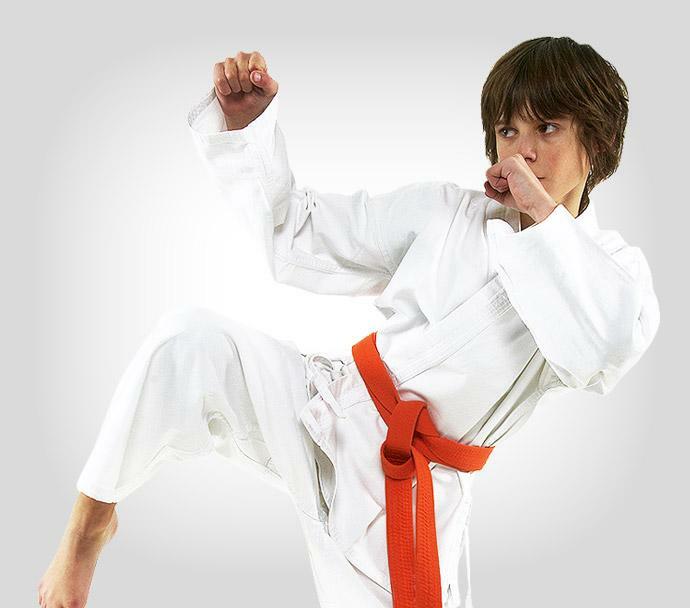 Once the child progresses through the belts from white to Two-Tone, s/he will have the knowledge and maturity to effectively participate in our traditional Tae Kwon Do program for children, TKD Junior. Tae Kwon Do is a martial art that emphasizes the use of the longer reach and strength of the legs. Proper striking with the legs greatly decreases the chance of being counter-struck. For more information see our Tae Kwon Do page.